2-3 minute read with unique, never-seen-before, pictures. 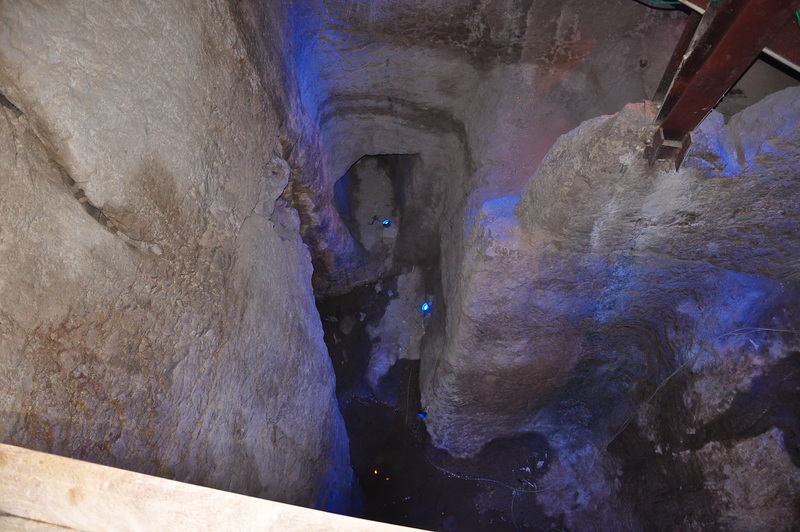 The Gihon Spring is the natural water source for ancient Jerusalem. David’s general Joab is said to have gained access to conquer the city via part of this water system (2 Samuel 5:8 and 1 Chronicles 11:6) and Hezekiah built the well-known 1,750 ft. tunnel (2 Chronicles 32:30). On a recent trip sponsored by the Biblical Archaeological Society and Tutku Tours, led by the expert guide Ofer Drori, we descended into the water system complex. For years the area excavated by Ronny Reich and Eli Shukron has been barely visible due to all the scaffolding in the area. 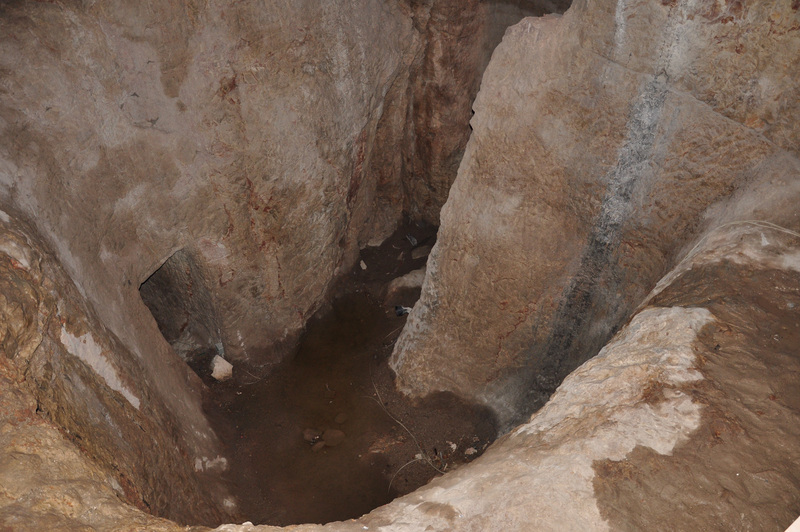 View looking down into the “Rock-cut Pool” that dates to the 18th century B.C. 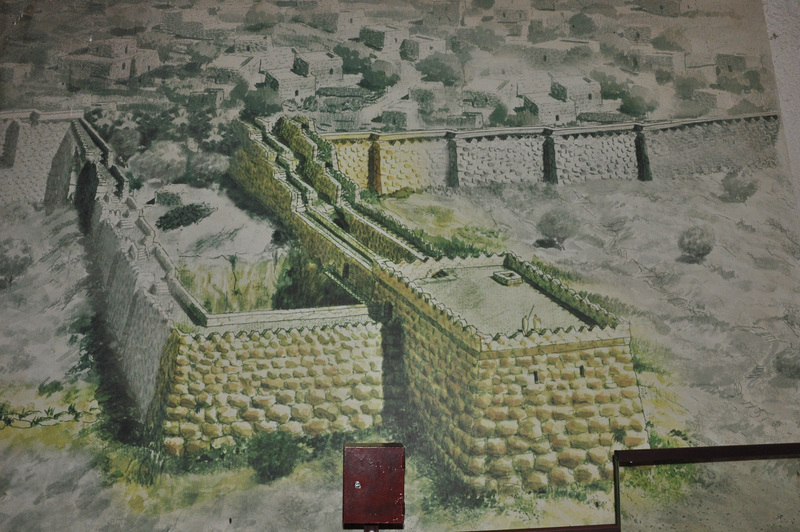 Artist’s reconstruction of the Gihon Spring, Rock-cut Pool, and associated defensive structures on the east side of the “Old Ancient Core” of Jerusalem — dated to the 18th century B.C. In the above artists reconstruction the tower on the right (north) was built over and guards the Gihon Spring. The tower on the left (south) contains and guards the “Rock-cut Pool.” Note the city wall and the defended pathways that lead to and from the towers. All of this was evidently built in the 18th century B.C.! For a complete description of this system see the article by Hershel Shanks, “Will King Hezekiah Be Dislodged from His Tunnel?” Biblical Archaeology Review, (September/October 2013), pp. 52–61, 73. In it he notes that Reich and Shukron now believe that what has been called “Hezekiah’s Tunnel” (Hezekiah r. 715–686 B.C.) now should be dated earlier—to the late 9th or early 8th century B.C.! Samos — Another “Hezekiah’s Tunnel”? Some of the readers of this blog are familiar with the 1,760 ft. long “Hezekiah’s Tunnel” that brought water from the Gihon Spring to the Pool of Siloam in Jerusalem. At the southern end of this tunnel a Hebrew Inscription was found on which it describes how the two gangs of workmen began at each end and worked towards the center. The tunnel was built in the late 8th century B.C. Not so well-known is the very similar Tunnel of Eupalinos that brought water to the ancient city of Samos (now called Pythagorio). This tunnel was about 3,280 ft. [1,000 m.] long and was carved into solid rock by two groups of workmen—one group beginning at each end and meeting near the middle. It was completed during the rule of Polycrates around 524 B.C. The image above is of the interior to the Tunnel of Eupalinos that brought water to the ancient city of Samos (now called Pythagorio). 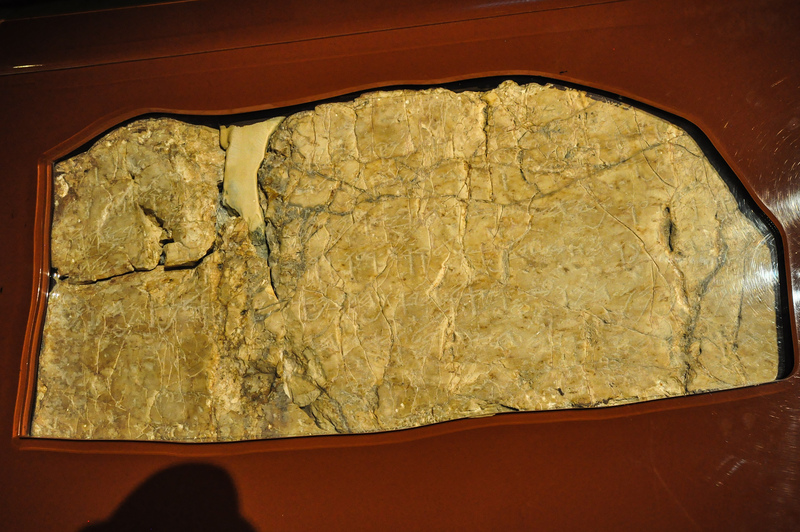 The outline of the rock-hewn tunnel is very clear in this image. The woman in the picture is 5′ 2″ [1.57 m.] tall. 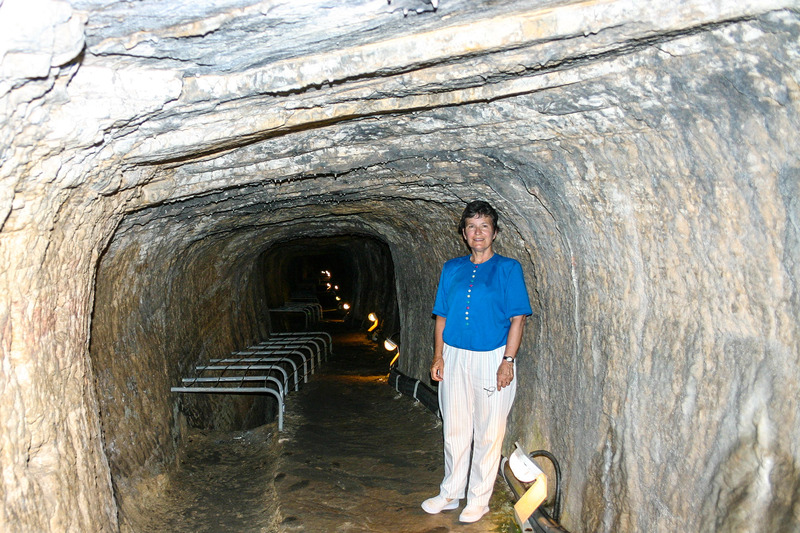 The area in which she is standing was actually a “service area” that was used by workmen to maintain the tunnel. The metal grating behind her, on the left side of the image, covers the deep channel in which the water actually flowed—in clay pipes. For additional images of the Island of Samos Click Here. Besides the informative comments on how the tunnel may have been constructed, see also the 15 minute animated video below.